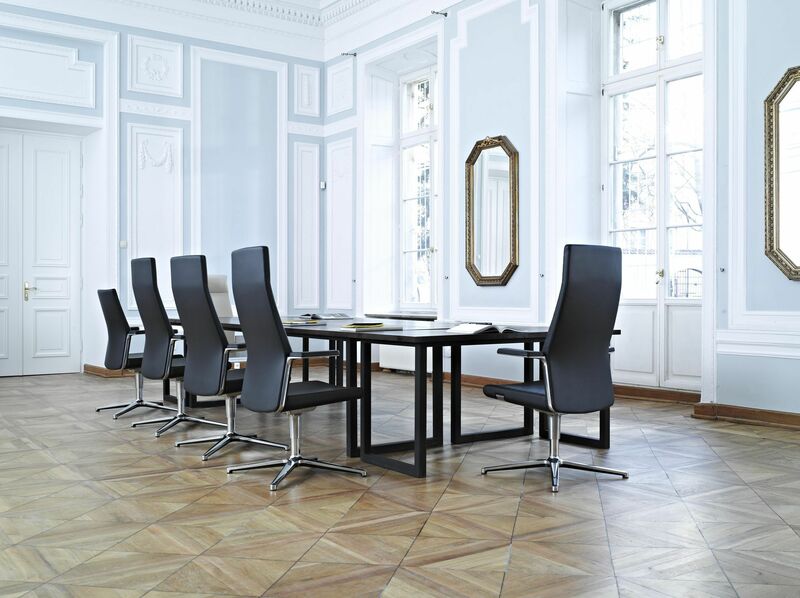 MyTurn office chairs represent the highest level of elegance and style. Precise leather upholstery finish together with aluminium components give them a feel of premium class products. 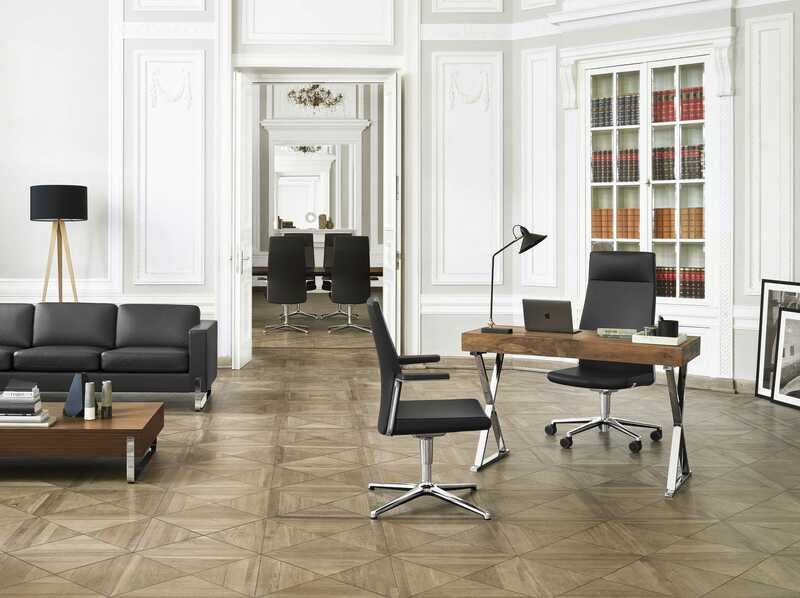 This new swivel chair is a perfect choice for CEO office in a company while the visitor chairs are ideal for high-standard boardrooms. 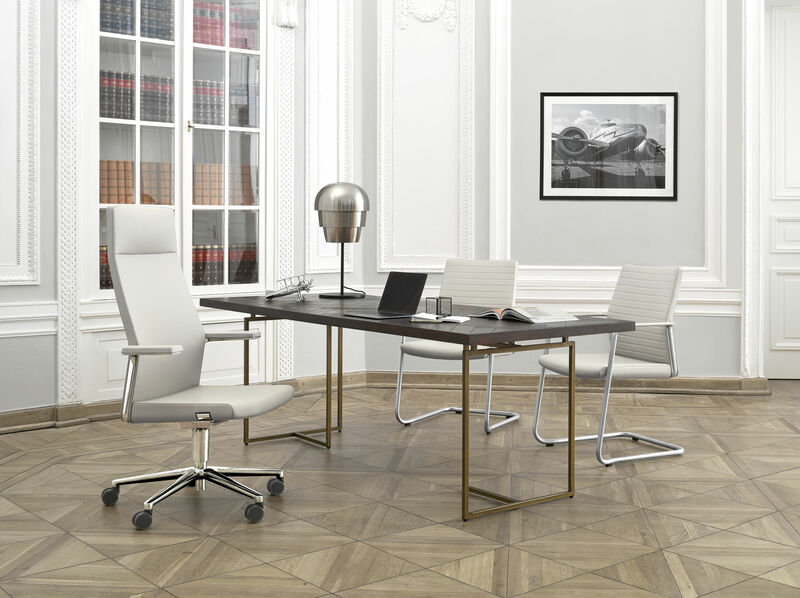 Distinctive aluminium armrest are ideally harmonised with the backrest and the intuitive and simple ‘Rocker’ mechanism significantly improves seating comfort during long meetings. There is a new addition to the collection – a chair with fully covered armrests, which adds a new touch to the design. Synchro S - adjustment of seat height, synchronising mechanism with the possibility to adjust the resilience of the backrest to the weight of the sitting person.The synchro mechanism can be locked in one of four positions.